Most adults experience some form of tooth sensitivity, with most discomfort being associated with exposure to hot or cold foods. Indeed, it is common for some patients to experience sharp pain when eating ice cream or drinking a hot cup of tea. Fortunately, there are many treatment options for patients with sensitive teeth. Sensitive-formula toothpaste may be all that is needed to prevent sensitivity. In other cases, the patient may require restorative dentistry treatment to protect the teeth and prevent discomfort. At the Michael Bixby Center for Advanced Dentistry, Dr. Bixby can examine your mouth and determine what may be causing your tooth sensitivity to hot and cold foods and drinks. Contact our Red bank, NJ practice today to schedule an appointment with us. 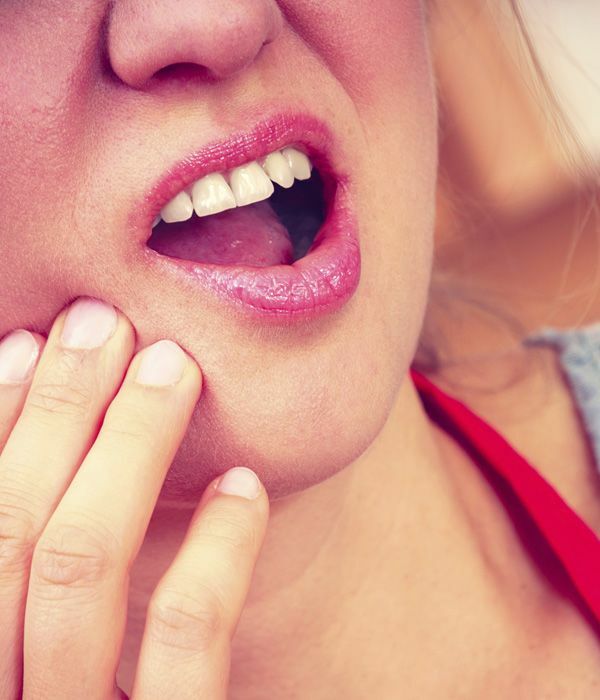 Increased tooth sensitivity to temperature fluctuations results when the nerves with the teeth become exposed as a result of enamel wear or root exposure. The tooth enamel is the protective, outer layer of the tooth. When it wears, it exposes the more vulnerable dentin, which has microscopic tubules that run to the nerves of the tooth. Keeping the tooth enamel protected and intact will prevent tooth sensitivity for as long as possible. The first step in any tooth sensitivity treatment plan is to prevent any further enamel erosion or gum recession, which both increase the risk of cavities and other dental problems. First, patients should apply light pressure when brushing the teeth, using sensitive-formula toothpaste and a soft-bristled toothbrush. After eating or drinking acidic foods and beverages, patients should rinse the mouth with water to neutralize the oral environment, and then brush their teeth 30 minutes after the teeth come into contact with these substances. Patients that grind and clench their teeth at night should be fitted with a custom mouth guard to wear while they sleep. Finally, patients with malocclusion or severely crooked teeth may consider orthodontic treatment to prevent gum recession. If these changes in your oral health care routine do not address your tooth sensitivity, Dr. Bixby may prescribe specially formulated toothpaste or mouthwash to you. If enamel wear is severe, Dr. Bixby may recommend restorative treatment, such as composites or a dental crown to protect the teeth and nerves. If you need treatment for exposed roots, Dr. Bixby may use composites or refer you to a periodontist for a gum graft procedure. To find out how to reduce your sensitivity to hot and cold foods, contact the Michael Bixby Center for Advanced Dentistry today.